For the grits, in a small saucepan, bring the water to a boil. Add the salt. While whisking, pour in the grits. 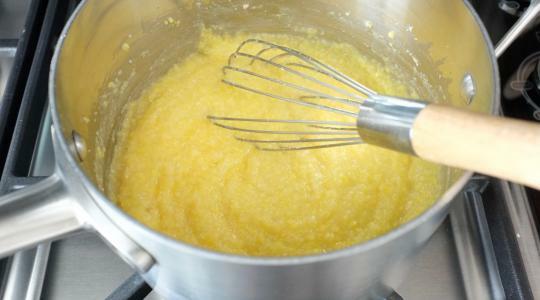 Reduce the heat to medium-low and simmer the grits, whisking often, until tender, 20 to 25 minutes. Whisk in the brown sugar and nutmeg. 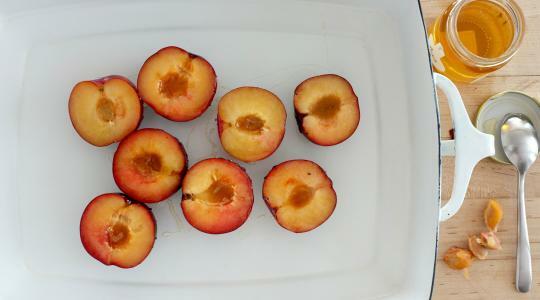 While the grits cook, make the plums: Cut the plums in half; remove and discard the seeds. 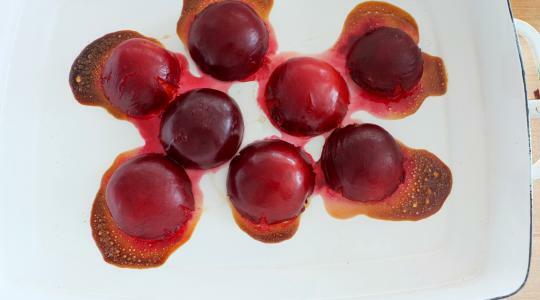 Put the plums in a baking dish cut side up. Drizzle with the honey. 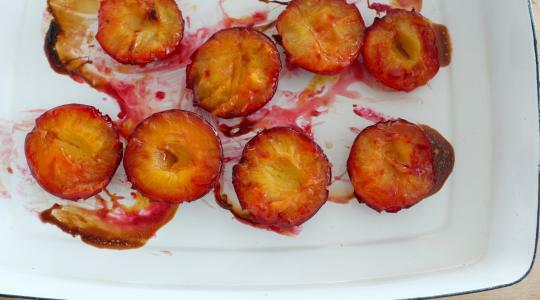 Now turn the plums over so they sit cut side down. Roast until just tender, 12 to 15 minutes. 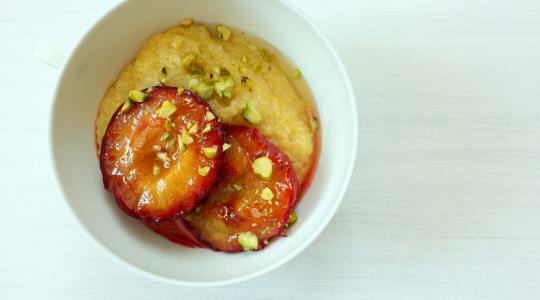 Divide the grits among bowls and top with the plums. Drizzle with a little more honey and sprinkle with the pistachios.